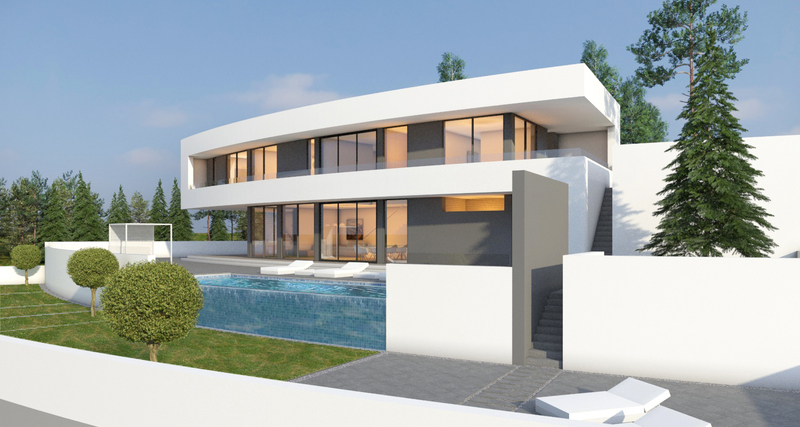 A beautiful curved villa with 4 bedrooms and 4 bathrooms of 236m2 with an extra 110m2 covered terraces. 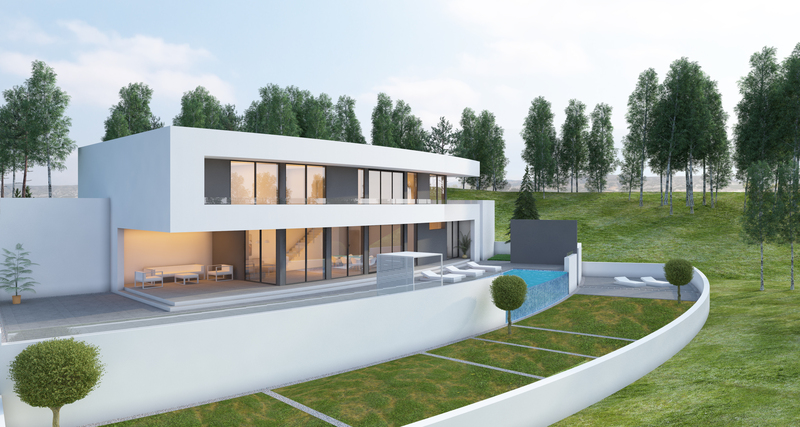 This villa stands proud on a sloped plot and is accessed from the top level, where a grand entrance door opens onto a gallery looking down into the 65m2 living and dining area. 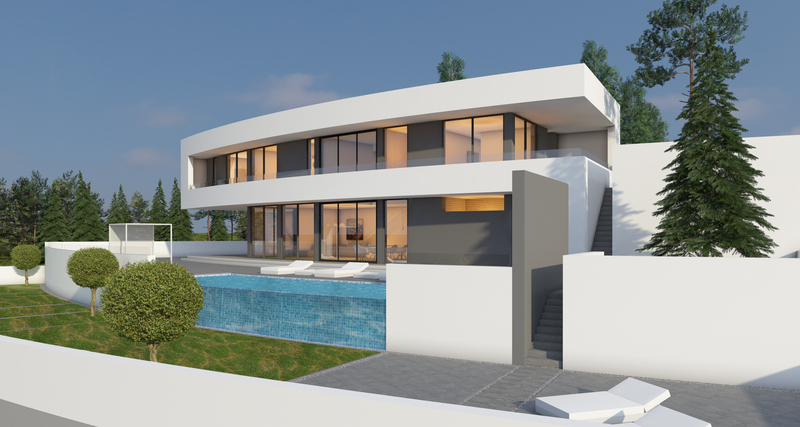 The first floor has 3 bedrooms and 3 bathrooms each leading onto the curved balcony and covered terrace. 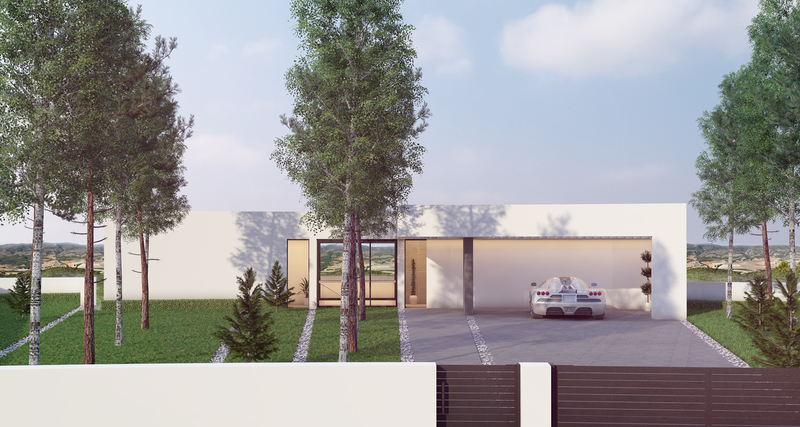 On the ground floor, a further bedroom with en-suite plus a guest cloakroom and utility room add to the living space and Italian designed kitchen. Outside the infinity pool cascades down the natural slope of the land and different terraces and gardens allow for sunny and shady spots.